Imágenes detalladas de la estrella Beta Pictoris, tomadas por el Hubble, confirman la existencia de, no uno, sino dos discos de polvo alrededor de la estrella. 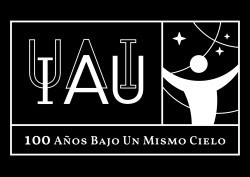 Las imágenes ofrecen evidencias de por lo menos un planeta del tamaño de Júpiter orbitando Beta Pictoris. Data Description: The Hubble images were created from HST data from proposal 9987: H. Ford (Johns Hopkins University) and J. Krist (STScI). The science team for this release is led by D. Golimowski (Johns Hopkins University). least one Jupiter-size planet orbiting the star. appears in the June 2006 issue of the Astronomical Journal. astronomer David Golimowski of Johns Hopkins University in Baltimore. system are typically inclined to Earth's orbit by several degrees. formative years of a star system." disk, and moves them into an orbit aligned with that of the planet. the tilted dust disk seen in the new Hubble images. that become inclined to the primary disk. Hubble's Imaging Spectrograph confirmed the warp. may exist around the star in a region the size of our solar system. the existence of one or more planets orbiting the star. Universities for Research in Astronomy, Inc., Washington.